"The Etruscans are at the very beginning of the history book, right near the Egyptians and the Jews." But tell me, Dad! Who do you think are older?" Aerial View of the Etruscan Necropolis at Cerveteri. Giannina, a nine year-old Roman girl, asks this seemingly ingenuous question in the opening paragraphs of Bassani’s great novel, The Garden of the Finzi Continis. On a Sunday jaunt to the Etruscan Necropolis at Cerveteri, barely an hour’s drive from the city. View of the Etruscan Necropolis at Cerveteri. 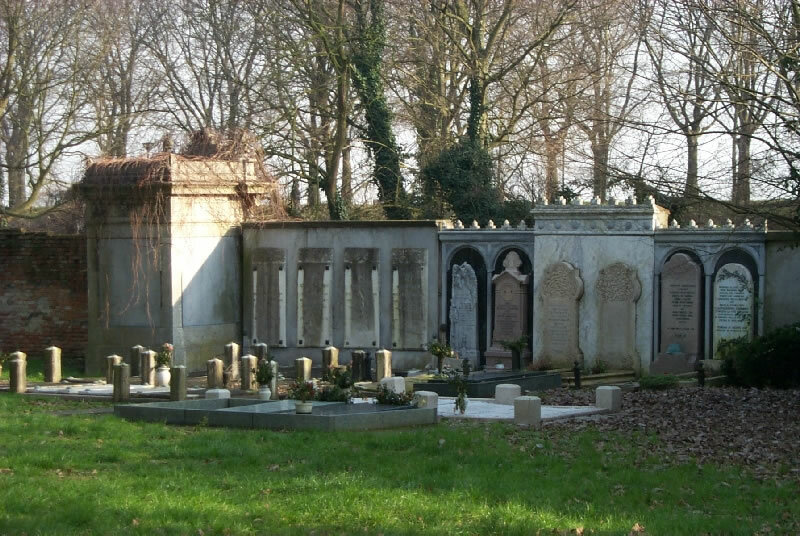 View of the Jewish Cemetery in Ferrara. The Etruscans were a distinct people with their own language and culture, famed for their wealth and their luxurious way of life. 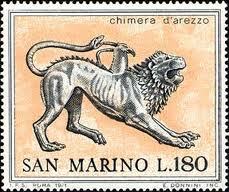 They dominated much of Central Italy for hundreds of years (from the 8th through the 4th centuries, B.C.) Then they gradually adopted the Latin language and Roman ways, losing their identity as a unique society. When we hear the word "Etruscan", the first adjective that comes to mind is usually "mysterious". And why is that? Most immediately, we react to the haunting glamour of a "vanished people"... But Etruria isn't Atlantis and the Etruscans never "vanished" at all. They were absorbed into the present-day Italian population - and in some places, they allegedly dominate the local gene pool. 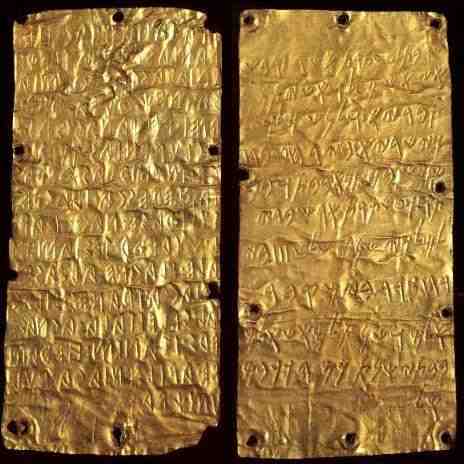 Two inscribed sheets of gold from Pyrgi, in the territory of Cerveteri, commemorating the dedication of a temple. Then there is the odd and elusive Etruscan language, which was deciphered by scholars only within the last hundred years. We have many thousands of surviving texts and inscriptions, regarding religious ceremonies; sacrifices and divination; death and the hereafter. But no popular literature and few records of everyday life. In fact, our response to the Etruscans is overwhelmingly aesthetic and more than a little romantic. They look so wonderfully mysterious with their Archaic smiles, their aristocratic poise and their seeming indifference to the passage of time. 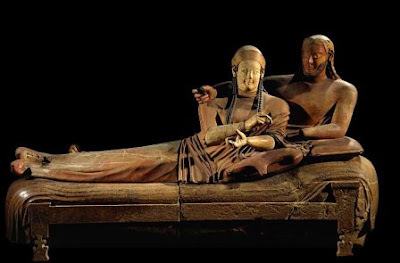 The Sarcophagus of the Married Couple (from Cerveteri) is the iconic expression of the Etruscans as we want them to be - as confirmed by the Italian Government on a recent postage stamp. in the style of an Etruscan funerary urn. Other images from the web. 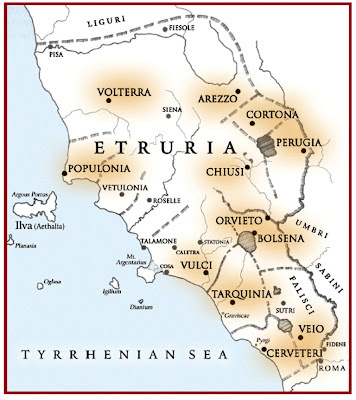 Question - how do we know that Etruscans still dominate the gene pool in some areas? What are the signs - maybe a congenitally smug smile? Do tell! Stay tuned! The next post continues in Cerveteri, but the one after that moves on to Tarquinia (As in Molza? 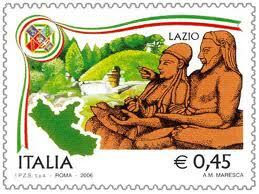 Did the noble Molza family claim Etruscan descent and possibly even a direct line to the Tarquin Kings?) Actually, the country where the Etruscan genetic presence is quantifiably strongest is TURKEY (where they all came from in the first place.) Here in Florence, someone who is stocky and square-faced with a dusky complexion is often referred to as “a real Etruscan", as differentated from the Liguri (taller, thinner, lighter skinned, darker haired - often spotted in Pisa and Lucca) and the Romagnoli from the northeast (often blondish, with Gallic elements.) Meanwhile, “the blood of our Etruscan ancestors that still courses through our veins” has not quite disappeared from rhetorical effusions. HOWEVER, I think that I am going to pop an “allegedly” into that “gene pool” sentence! TRUTH IN ADVERTISING: I decided to stick with the Etruscans but postpone the Tarquinia post, in order to share some recent photos that my brother took at the Archeological Museum here in Florence. See "ETERNITY, ETRUSCAN STYLE? ", posted on 1 September. Someone at another blog directed me here. I love history. I visited Italy when I was a child and it was one of my favorite places to visit in all of Europe. Your articles are very interesting and I look forward to visiting often. Take care! Thanks, Sharon, for stopping by and commenting! It sounds to me as if you are ready for another (non-virtual) visit to Italy...!!! But in the meantime, maybe I can help you add a few Secret Places to your "must-see" list? Tuscany is perhaps the most beloved region of Italy, but how many venture beyond Florence, Siena or San Gimignano? There is an entire country just waiting to be explored and - as the treasure house of Western civilization - Italy is a cultural repository unlike any other place on earth. Amazing, isn't it, I.C.?! And how many people ever really make contact with even those few obvious spots on the tourist map? That, basically, is what this blog is all about! But tell me, what are your own favorite "secret places"? Good morning Mr. Goldberg, just stumbled into your blog and liked a lot!! Italy is full of secret places which I love to visit (when I can). Last month just visited those necropolis (Cerveteri, Tarquinia) along with Carsulae and Ferento... I'm not into archaelogical fella but have interest about those old civilizations... great blog, congrats!!! It always good to hear from people who share my enthusiasms (and obsessions)! Sorry that it took me so long to publish your comment but I am traveling and have been a bit out of touch. Ed G.